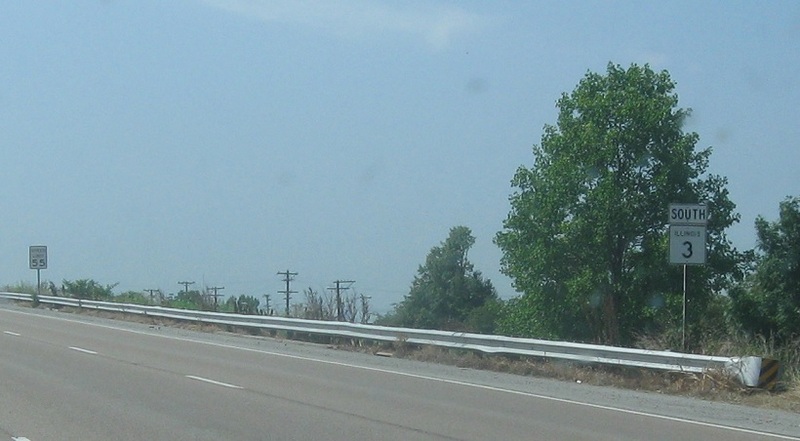 Just after I-270, we’ll pass by old Route 66. 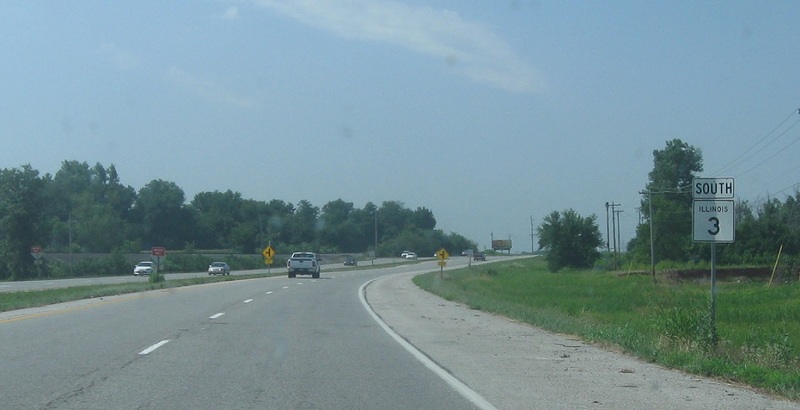 Reassurance shield after I-270 and U.S. 66. 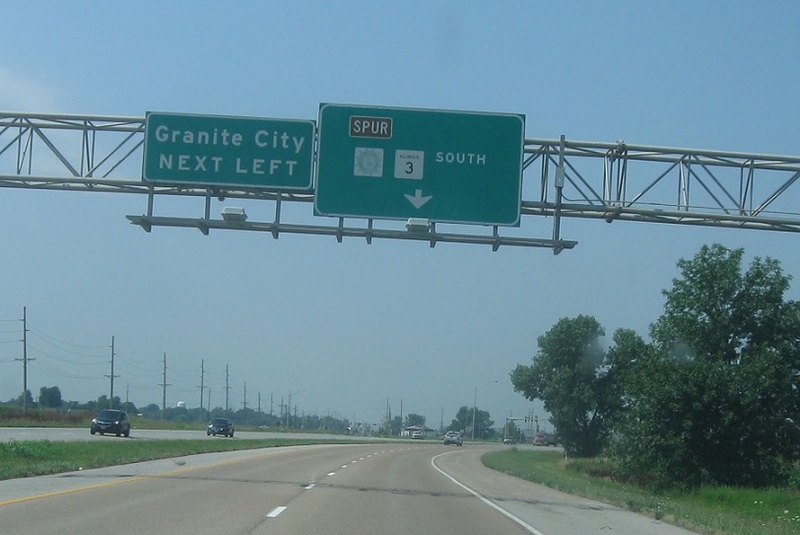 A couple miles later, we’ll approach the turnoff into downtown Granite City. 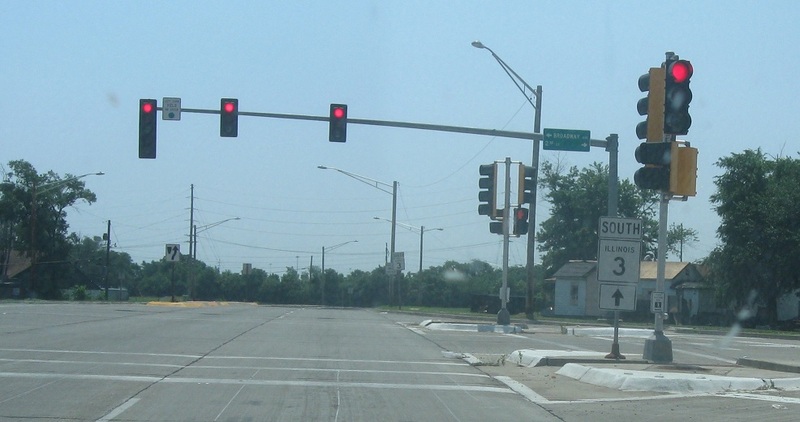 Reassurance shield after the turnoff to Granite City. Reassurance shield a couple miles later. 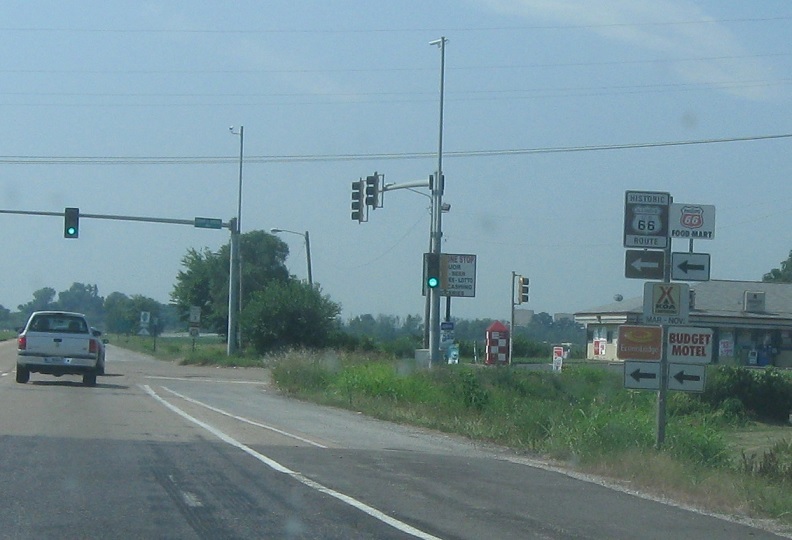 Access is fairly limited on Route 3. A couple miles later, we’ll enter Venice. 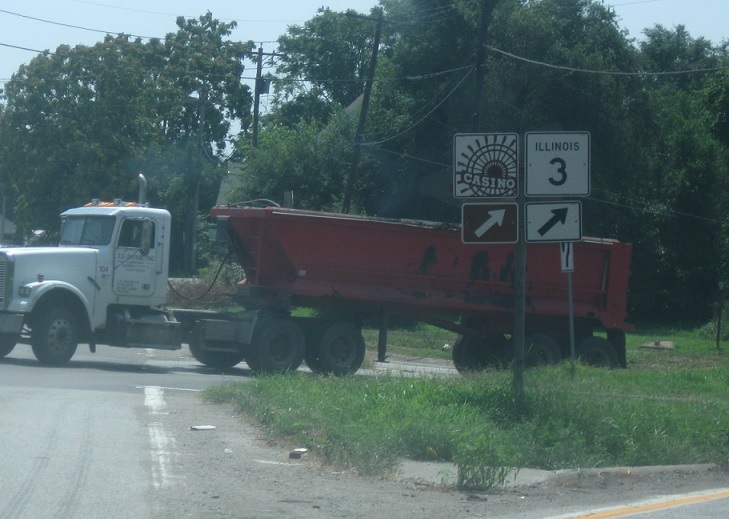 As we approach the fork for the McKinley Bridge, keep left for Route 3. After keeping left, stay straight to stay on 3. 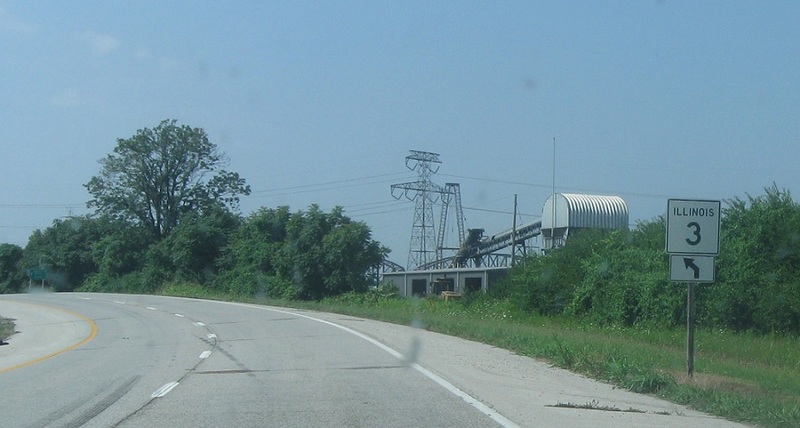 Reassurance shield after the McKinley Bridge turnoff. As we approach Brooklyn, keep right to stay on Route 3. 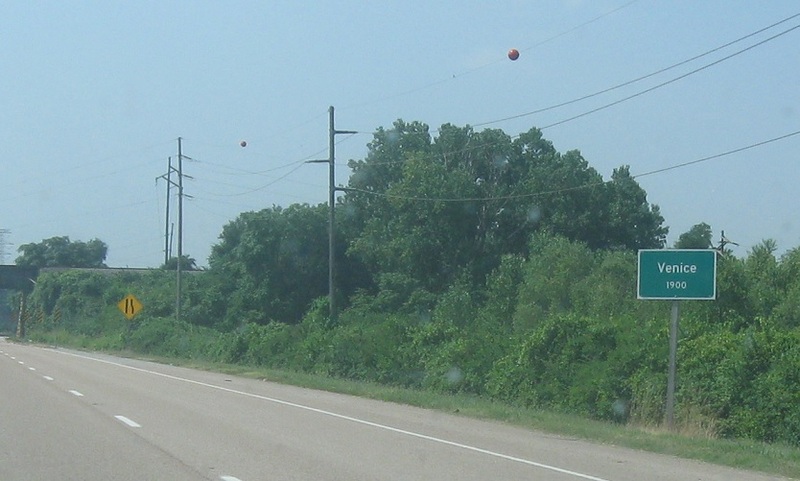 About a mile later, we’ll approach I-55/I-64. 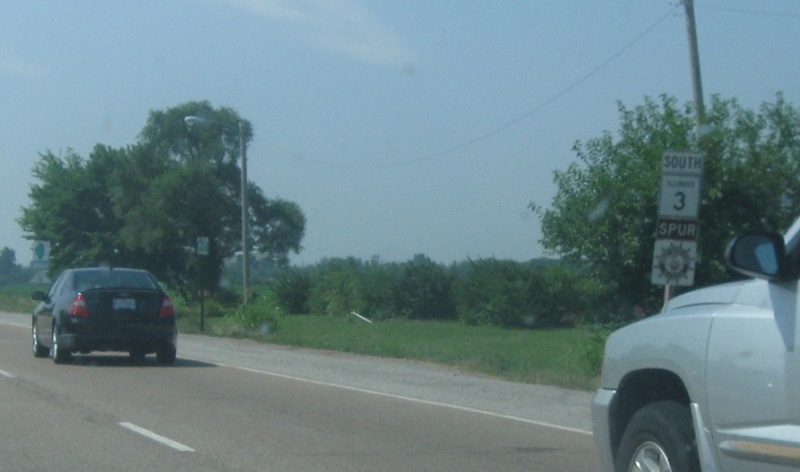 Stay straight to merge onto the freeway towards St. Louis. 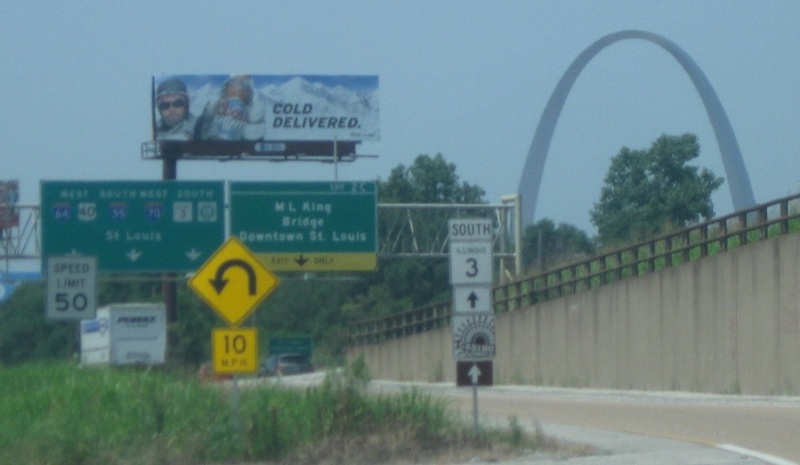 Stay straight to follow I-55/I-64/US-40 into St. Louis. 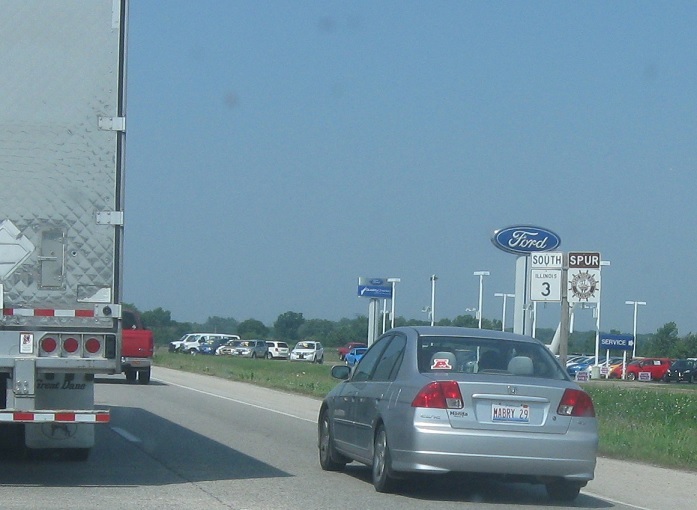 Illinois 3 will concur with it for two exits. 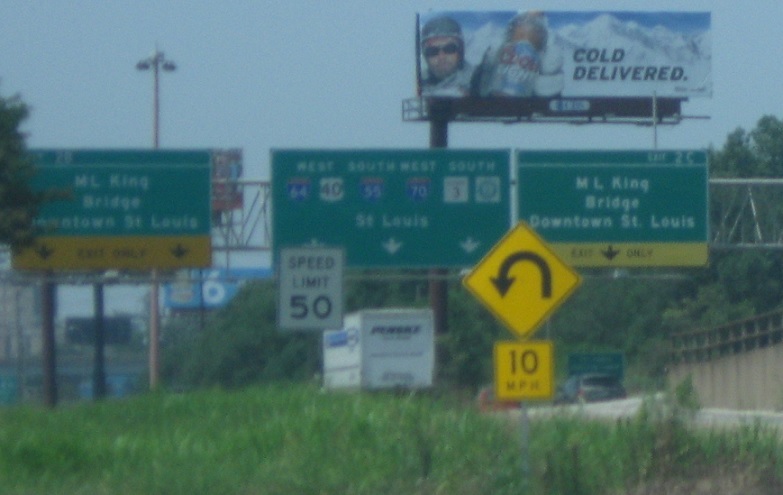 I-70 has since been re-routed onto the Stan Span, which splits with the interstates at this interchange but is not accessible from Route 3.